I'm very pleased to host Mari Barnes today as part of her virtual book tour for her book, My Peace Place. Mari is participating in D'Vorah Lansky's Book Marketing Boot Camp, which is where we 'met'. Take it away Mari! I read this recent post from a discouraged new author: My friends don't seem very excited about my new book. Does no one read anymore? I've sold 4 whole copies so far. That did more than ring a bell—it set a gong clanging in my mind. I remember those days too well. Some friends and family weren’t even reading gift copies of my book, much less actually spending money to support me. It created a hollow feeling unlike anything I can adequately describe but despair, disappointment and betrayal all come close. How could they not understand how important this is to me? Haven’t I bought every Girl Scout cookie--supported every sport, church and school fundraiser? When little Cindy Lou was selling crocheted key rings, who bought one in every color? Well, Newbie Author, know that you are in good company. Most of us have been where you are. To be fair, some of my family members comprise my Tribe—steadfast supporters of all things Mari. I think my mom is single-handedly responsible for the sale of more than 200 books. My youngest sister shares and reTweets almost every post. On the other hand, my best friend (beyond death) didn’t read my first book until four years after its publication. She was flat on her back after heart surgery and couldn’t do anything but read for several days. 1. We are the stars of only our own movies; we’re in everyone else’s supporting cast. People who will take a bullet for you just won’t understand this author thing. Unlike our characters (most of them, anyway) the folks who populate our lives don’t always do or care about what we think they should. My eyes glaze over when my husband waxes poetic about the carburetor he’s rebuilding. That doesn’t mean I don’t adore the man. You can’t take things personally. You’ll never survive the authorly life if you do. 2. Recognize that writing, although an important part, is only a part of your life. Don’t disown your family and friends because they can’t get behind you in one area. 3. Most of our books will sell between 50 and 250 copies, if we’re lucky. If you’re writing to get rich -- or even to pay the rent – you may want to hold onto your day job. The majority of writers work at something other than writing. Newbie, my advice to you: keep your eye on the why. Remember why you write. If it’s to sell books, there’s a googol of book marketing experts out there to help you reach that goal. You don’t have to depend on the largess of loved ones. Using social media, you can work on building a global community of people who appreciate your words. If you’re writing because you want to be read, you have so many options. Publish yourself one chapter at a time; post your work on your blog or website. And join groups. There are myriad online concaves of readers and writers who will enjoy meeting you. If you write because you can’t NOT write, welcome to the fellowship! Keep your eye on the why and keep writing. 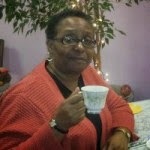 Mari L Barnes writes for children under the pen name of Mari Lumpkin and for adults as ML Barnes. Her books, Parting River Jordan and Crossing River Jordan are proof that church can be funny. Mari’s company, Flying Turtle Publishing, specializes in books that families can share. 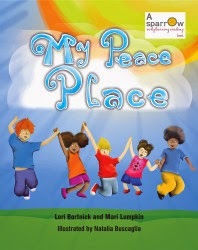 Her latest children’s book, co- authored with Lori Bortnick, is My Peace Place. Visit Flying Turtle Publishing’s Virtual Book Tour schedule and be entered to WIN a $10 Amazon Gift Card in our monthly drawing. I guess I want to write about my experiences to help someone else not make the same mistakes I made and because I have had a rich full life with lots of excitement, and a little heartbreak. Making any money is not the goal. I would like to leave a stamp on the world that I was here. I have been told that I should write an autobiography because I can tell some good stories. It is hard though to get going and get started. Thanks for dropping by and for the comment. You're right... the hardest part is getting started. You'll be surprised how it starts to flow once you do :) Good story tellers are often the best writers. My advice to you is to just start writing down those stories. If you need a jump start, I'm doing a writing retreat the first week of November (the 2nd Annual Phuket Paradise Writers' Retreat). If you'd like more info, let me know! Mari, it's a really fantastic post with excellent and helpful points to minimize the pain around author's expectations. I experienced a lot of "hurt" around people who I thought would support my author-journey, and didn't. After a lot of soul-searching I did realise that it's MY journey, and my opinion is the important one here. Plus like you say - every person has their own list of priorities and if I build my happiness on what's important to them, I'm building my happiness on a very shaky foundation. Thanks for the excellent points and judging on the number of comments, you've hit on a really valid and important pain point! Peggy and Liesel, it's wonderful to see you here! Thanks for visiting and thanks for your insightful comments. Hi everyone! Thanks for stopping by and BIG thanks to Anne, for hosting me! Ross, don't edit yourself in the beginning or worry about doing it right. Just write. Write because you love it! Not for money! It's so true. Isn't that what we all want out of any job though, to enjoy it. Money is always nice but it's not everything. Yes, keep on writing. Writing what one’s passion is about and because of oneself, not others. If one’s writing helps or delights even a few readers, it’s worth it. Ross Blankert, you've won a $5 Amazon gift card. Please send your email address to ftpublish at gmail dot com. And thank you for commenting! Oh the writing life. Yes, it can indeed be a lonely one. Sorry I'm so late reading this post. Turns out I'm not quite the multi-tasker I thought I was - when it comes to launching my own business. Like Mari, I was a bit surprised that friends and family have been less than avid readers of the book I wrote - nor do they seem overly willing to post a review. (Think we've all been there.) However, I was enlightened about people's reading habits via a Pinterest post that revealed there are millions who have not cracked open a book since leaving school. That's so sad! They have no idea what they are missing! Happy to have found some soul mates on this journey. Thanks Mari & Anne!